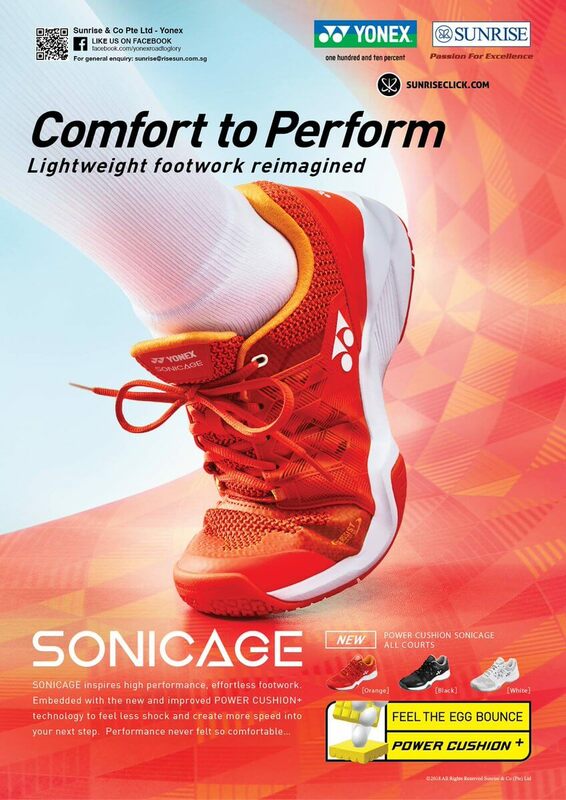 A great option for the club player who demands comfort, the Sonicage will be light and cushioned on the court. The seamless Skin Light upper provides lightweight support and a step-in soft feel around your feet. The Power Cushion + midsole helps absorb shock while offering a plush feel underfoot for a soft and responsive feel. Once laced up, you will feel snug and confident with the Durable Skin technology, and the Agility Bolt technology promises stability when moving aggressively. The durable rubber outsole offers a good amount of traction on any court surface. Fit: Length fits true. Width is medium. The arch is low. No break-in required. Upper: Durable Skin and mesh offer a snug fit and support. Midsole: Durable Skin Light technology offers light and soft cushioning underfoot and stability for aggressive movement. Outsole: Durable rubber in a modified herringbone pattern for traction and durability on all court surfaces.